In private communication with Horhug (CODOH forum participant), I was given a variety of responses to him from a Tim O'Neill. I want this thread dedicated to Mr. O'Neill's position that "No Nazi was ever a Holocaust denier." I will also post, at this forum, more responses from O'Neill and others from http://www.quora.com in separate threads for each specific point. This specific issue has been covered at this forum, but regardless, let's address Tim O'Neill's neophyte "smack down argument" in this thread. "No Nazi was ever a Holocaust denier." And BTW: Tim O'Neill, I challenge you to debate us here. "The Holocaust: What are the most convincing bits of evidence which prove, beyond a shadow of doubt, that the Holocaust occurred? You know, so we can shut the deniers up once and for all." Over the years I have encountered and debated (if that's the word) Holocaust deniers online on many occasions. As with debating many types of fanatics, this was never an exercise in trying to convince the denier that they were wrong, since they are usually motivated by racial hatred rather than reason in the first place. These debates were more a way of showing those who might be inclined to think the neo-Nazi may have a point that they definitely don't. As such, I've looked for a smack-down argument that works every time - something that immediately forces the neo-Nazi to respond with counter-arguments so absurd that it becomes instantly clear how ludicrous their position truly is. No Nazi was ever a Holocaust denier. This one, simple fact shows that everything the modern deniers try to claim is a post hoc contrivance. From 1945 onwards, thousands of Nazis were captured and hundreds tried for their part in the Holocaust and other crimes against humanity. They tried to pretend they were someone else, they tried to pretend they didn't know what was happening, they tried to pretend they didn't have as much to do with it as others, they tried to claim they were just following orders and they tried to justify it as "the kind of thing that happens in war". But what not one of them ever did was deny it happened. Even men on trial for their lives, in the full knowledge they would be hanged if convicted, never stood up in the courtroom and shouted "This is all a lie! This is a fabrication! There were no gas chambers and no crematoria! I'm being framed!" On the contrary, they gave great detail as to precisely how they had helped build and helped run the mechanics of mass murder, some of them even seeming proud of how they had achieved something so complex and on such a vast scale. "I gave life in Auschwitz, I did not take it." "When the subject was raised by Rolf, his father ''exploded.'' Mengele turned on his son and said, ''How can you imagine that I could do such things - it's a lie, propaganda!'' Unrepentant, Mengele claimed that as a doctor he had actually ''helped'' to save many lives in the death camp." "I don’t have anything to hide. 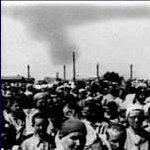 Terrible things happened at Auschwitz, and I did my best to help. One could not do everything. There were terrible disasters there. I could only save so many. I never killed anyone or hurt anyone. I can prove I am innocent of what they could say against me. I am building the facts for my defense. I want to turn myself in and be cleared at a trial." He also offers his opinions on a myriad of subjects, including race-mixing, the Nuremburg war crimes trials, justification of the concentration camp system, and denial of the conditions at the camps. Last edited by TheBlackRabbitofInlé on Sun Oct 06, 2013 2:06 pm, edited 1 time in total. And of course we had SS Oberscharführer Gunter Herman Frich (one of those "Nazis") admitting to gassing Jews at Buchenwald, even though no one claims there was a gas chamber at Buchenwald. horhug wrote: Will Tim O'Neill or any Quora holocaust believers debate the issue? My comment against my question at Quora. Tim O'Neill's answer to The Holocaust: What are the most convincing bits of evidence which prove, beyond a shadow of doubt, that the Holocaust occurred? However, after numerous exchanges with Tim O'Neill, who insisted on abusing and slandering me, the thread mysteriously became locked and I am now unable to reply any further. Tim O'Neill also stated that he had reported me for being a "troll". This is an open invitation to anyone who would like to join in the well informed debate at CODOH. The thing is the guys who stoke the fires on holocaust sites such as Quora.com are very good at shouting at people and influencing those who have little knowledge of the holohoax but wouldn't be able to cut the mustard or shred the sauerkraut here. This is because they know the rules of posting here, that they would have to be right at the top of their game to win any debate here. The point is they can bully the idiots but here the game is different, on a higher level where scientific data, common sense and hard fact-based evidence is required not thin associations and misquotes together with obfuscation and lies. They haven't got the bottle. Last edited by borjastick on Mon Oct 07, 2013 12:06 pm, edited 1 time in total. Below I have compiled a list of former NS bureaucrats and camp personnel who after the war died in a fashion which could be described as “convenient” to the upholders and propagators of the officially sanctioned Holocaust narrative. They are all individuals who must have had insight into the truth regarding the “Final Solution” and the alleged gas chambers. A number of them are also known to have denied the existence of such killing facilities. Most of the listed people committed suicide, many of them under mysterious circumstances. The author of this article does not suggest that all of them were assassinated. Some of them may indeed have ended their own lives, for some reason or other. In any case, their deaths no doubt came convenient for certain people. It is my hope that this list will spur new research into some of the individual cases. Heinrich Himmler (b. 1900) was the head of the SS and thus the highest responsible for the “Final solution to the Jewish problem,” by orthodox historians alleged to have meant the physical extermination of the European Jewry. After wandering the Flensburg area carrying false papers, Himmler was arrested by British troops on May 22, 1945. According to the official narrative, Himmler committed suicide late on May 23 by biting into a cyanide capsule which he had somehow managed to keep hidden inside his mouth for a whole day, despite eating a sandwich and being searched by his captors in the meantime. Richard Baer (b. 1911) was commandant of Auschwitz I from May 11, 1944 and of Auschwitz II (Birkenau) from the end of 1944 until the evacuation of the camp in January 1945. After the war he lived near Hamburg under the assumed name Carl Neumann, working as a forester. He was arrested on December 21, 1960, and soon became the main prosecuted at the Frankfurt Auschwitz trial, then in preparation. Baer however never testified before the court, since he died in his prison cell in June 1963. The cause of death is variously given by historians as “natural causes” or “circulatory ailments,” but the autopsy did not rule out “ingestion of an odorless, non-corrosive poison” (cf. W. Stäglich, Auschwitz: A judge looks at the evidence, pp. 233-5). According to a brief article in the French right-wing newspaper Rivarol Baer had denied any knowledge of homicidal gas chambers during his pre-trial interrogations. Josef Kramer (b. 1906) was the commandant of Birkenau from May to December 1944. In a lengthy statement made by Kramer to his British captors on May 22, 1945, he explicitly denied the existence of gas chambers at Birkenau. Kramer was sentenced to death at a trial concerning his time as commandant of the Bergen-Belsen camp. He was hanged on December 13, 1945. Friedrich Hartjenstein (b. 1905) was together with Kramer in charge of Birkenau from the end of November 1943 to the beginning of May 1944. He was sentenced to death twice: first by a British tribunal on June 5, 1946, the second time by a French tribunal on July 2, 1954. None of the sentences were related to his activity at Birkenau. He allegedly died of a heart attack in his Paris prison cell on October 20, 1954. Hermann Höfle (b. 1911) was Globocnik’s deputy and responsible for deportations of Jews to the Aktion Reinhardt camps. After the war he was interned by British forces but soon released. He allegedly committed suicide by hanging himself in a prison cell in Vienna on August 20, 1962, just before his trial was to begin. Irmfried Eberl (b. 1910) was the first commandant of Treblinka. After the war Eberl undisturbed practiced as a physician in the Austrian town of Blaubeuren . He was arrested on January 8, 1948 by the American occupying forces. He allegedly committed suicide by hanging in his custody cell on February 16, 1948. Franz Paul Stangl (b. 1908) served as commandant of Sobibor from March to September 1942, and as commandant of Treblinka from September 1942 to August 1943. After the war he was briefly interned but released and fled to Syria . In 1951 he and his family migrated to Brazil , where Stangl, living under his own name, worked at a Volkswagen factory. He was arrested in 1967 and extradited to West Germany , where he was sentenced to life in prison in 1970. While awaiting appeal he met and talked to Jewish journalist Gitta Sereny, who later published alleged transcripts of the conversations in her book Into that Darkness (1974). On June 28, 1971, the day after their last conversation, Stangl suddenly died, allegedly from a heart attack. Kurt Gerstein (b. 1905) was an engineer and SS hygiene technician who in Allied captivity after the war claimed to have visited Belzec and to there have witnessed a gassing of Jews. He wrote a number of “reports” concerning the alleged visit, which were later presented as “undisputable proof” of homicidal gas chambers. On July 25, 1945, soon after the French started interrogating him, Gerstein was found hanged in his cell. Gerstein’s widow was not informed about her husband’s death until June 1948 (cf. Henri Roques, The “Confessions of Kurt Gerstein”). Alexander Laak , former commandant of the Jägala camp in Estonia where a large number of Jews were supposedly massacred, is alleged to have committed suicide by hanging in his garage in Winnipeg , Canada. A number of Laak’s subordinates had at the time been given harsh sentences at a Soviet show trial. According to an article in Der Tagespiegel September 8, 1960, Laak had declared the Soviet allegations against him to be “99% lies and Communist propaganda.” In Michael Elkin's book Forged in Fury (1971) it is claimed that a Jewish "avenger" named Arnie Berg travelled to Winnipeg to kill Laak, and that Laak hanged himself under Berg's supervision in order to not have his wife shot by Berg. The above list should by no means be considered complete. 1. That statement is untrue, since several National Socialists did dispute those allegations on several occasions. 2. Assuming they didn't. Would No witch ever denied riding on broomsticks make that statement true? My mistake, I should not have included Tim O'Neill's name in the question I raised because it might make him feel uncomfortable. Note to self: Read the Guidelines. I had no idea he was so sensitive. Never mind, it was an exercise in p***ing in the wind anyway. Maybe he will give the subject a little more thought in future. The embarrassing shallow excuses they use when they've had their heads handed to them are incredible. Reminds me of how Andy Mathis, Jonathan Harrison, Sergey Romanov, Roberto Muehlenkamp, Nick Terry and others from 'Holocaust' Controversies whine & make excuses after being routed at this forum. Tim O'Neill was spanked by Horhug and now by those at this forum and he just can't deal with it. So it is with those who desperately attempt to protect easily debunked lies. Nothing complicated about it. 'holocaust' Revisionists win again. The tide is turning. No person that died in a German camp ever denied being part of a conspiracy to destroy Germany and exterminate the German people. Lee Harvey Oswald never denied being the second gunman on the grassy knoll. These Holocaust imbeciles really pick at straws. I think a better statement is that no person accused of wrong doing and tortured by the jews has ever denied anything. To be noticed the denegations of Hans Lammers and Hermann Göring by responding at Nuremberg to the allegation of a supposed policy of extermination of Jews . "The tasks of the German administration in the Government General. "1. For the purpose of guaranteeing the food supply for the German people, to increase agricultural production and to collect it as completely as possible, to allot sufficient rations to the native population occupied with work important for the war efforts, and to deliver the rest to the Armed Forces and the homeland." Then it goes on to deal with the difficulties of extracting sufficient manpower and wealth from the territory of the Government General for the benefit of the Third Reich. And then towards the end it deals specifically with the utilization of manpower, and it is to that paragraph that I desire to draw your particular attention. Have you found the paragraph headed, "Mobilization of manpower," dealing with the difficulties that the administration in the Government General was confronted with? I draw your attention to it because it contains this sentence: "It is clear that these difficulties have been increased by the elimination of Jewish manpower." LAMMERS: Where is that, please? MAJOR JONES: It is in the paragraph headed, "Mobilization of manpower." LAMMERS: Yes, but that is not my report. MAJOR JONES: But you said that in your covering letter that the memorandum was checked with SS Obergruppenfuehrer Kruger, who agreed with it in full. You recollect in your covering letter you indicated that this memorandum had received your consideration. Now, whether you wrote that or not, is not the matter that I am concerned with at the moment. What I want you to explain to the Tribunal is, first of all, did you appreciate that this report contained the sentence, "It is clear that these difficulties of manpower have been increased by the elimination of Jewish manpower?" LAMMERS: May I please be allowed time to read this document through? I cannot reply to documents several pages long unless I have read them. I find it quite impossible; and I ask for time to read this report which is several pages in length. LAMMERS: No-where is that? I have not read this sentence. I have not yet found the place. Where can I find it? Is it at the top or at the bottom of the page? If I may read the whole page, I will find the sentence; I will need a few minutes for this. Can you give me the approximate place? This is evidently Kruger's report and he probably means the further evacuation of the Jews to the East. I do not know what you mean by "elimination." With the best intentions I am not in a position to give an explanation on the spur of the moment of one sentence taken out of a context of 14 pages. It is absolutely impossible. MAJOR JONES: Are you saying that elimination of Jewish manpower is to be translated as emigration of Jewish manpower? LAMMERS: I do not know. I will have to read the complete document in order to give you an explanation of the report. There are 14 closely written pages in it, not written by myself; and I do not know what the connection is. MAJOR JONES: You know, do you not, that Hans Frank himself was in favor of a policy of extermination of the Jewish people? LAMMERS: I do not know whether he held this view. He told me exactly the opposite, and as a witness I can only tell you what he said to me and not what he said elsewhere. MAJOR JONES: You see, this Tribunal has had read to it extracts from Frank's diary in which he says that, "My attitude towards the Jews. . ."-and this is found at Page 12 of the German copy-"My attitude towards the Jews is such that I expect them all to disappear." And he says, as to the 31/2 minion Jews in the Government General, that, "One cannot shoot them or poison them, but we will be able to take steps in order to successfully annihilate them. The Government General must become as free of Jews as the Reich is." Are you saying that Frank did not express similar views to you? LAMMERS: If Frank made these entries in his diary and if he actually did say that, then it contradicts what he told me. That is all I have to say on that point. MAJOR JONES: Did you know that Frank's diary indicates that on the 9th of September 1941 there were 31/z million Jews in the Government General and when he makes an entry on the 2d of August 1943, he says that only a few labor companies are left? Did you not know that? LAMMERS: I do not know that this happened because he told me nothing about it. He himself must account for what he said in his diary. He himself must establish whether he did it or not. I knew nothing about these things. MAJOR JONES: In view of your translation of "elimination" as "emigration," Frank says in connection with those millions that this Tribunal knows were murdered' "All the others have, let us say, emigrated." Are you using the word "emigrated" in an equally cynical and brutal sense as that? LAMMERS: I am not in a position to comment on Herr Frank's diary. Herr Frank himself will have to do that. MAJOR JONES: You, Witness, were from the beginning of this tale of terror involved in assisting in drafting legislation towards achieving the end of racial persecution, were you not? Is that not so? Did you not put your signature to the Fuehrer's decree empowering Himmler to carry out the necessary measures to eliminate from the territory of the Reich racial elements that you, as Nazi, did not approve? LAMMERS: I do not recall ever signing anything like that. MAJOR JONES: Well, I will draw your attention to it. It is Document 686-PS, which is Exhibit USA-305. It is the decree of Hitler to strengthen German folkdom. That is the title of it. It is dated the 7th of October. LAMMERS: Yes, I know of the decree. MAJOR JONES: I thought it would not surprise you. LAMMERS: But this says nothing about what you asserted. "2. For elimination of the harmful influence of such alien parts of the population as represent a danger to the Reich and the German people." "The Reichsfuehrer SS is authorized to take the necessary measures to carry out his duties." You signed that decree, did you not? LAMMERS: It is correct, but it says nothing about killing Jews. It speaks of the elimination of a harmful influence exercised by alien populations. There is no mention of the elimination of aliens, but only of the elimination of the influence of alien elements of the population; the removal of a person's influence does not mean the removal of the person himself. LAMMERS: I mean to say that I knew nothing about it until the moment of the collapse, that is, the end of April 1945 or the beginning of May, when I heard such reports from foreign broadcasting stations. I did not believe them at the time, and only later on I found further material here, in the newspapers. If we are speaking now of the elimination of a harmful influence that is far from meaning annihilation. The Fuehrer did not say a word about murder; no mention was ever made of such a plan. about the decree of 31st day of July 1941 to Himmler and Heydrich and the "final solution"
MR. JUSTICE JACKSON: Then, it was you, was it not, who signed, on the 31st day of July 1941, a decree asking Himmler, and the Chief of Security Police and the SS GruppenFuehrer Heydrich to make the plans for the complete solution of the Jewish question? Goering: No, that is not correct. I know that decree very well. MR. JUSTICE JACKSON: I ask to have you shown Document 710, Exhibit Number USA-509. THE PRESIDENT: Is that 710-PS? MR. JUSTICE JACKSON: 710-PS, Your Honor. [Turning to the witness.] That document is signed by you, is it not? MR. JUSTICE JACKSON: And it is addressed to the Chief of the Security Police and the Security Service, and to SS GruppenFuehrer Heydrich, isn't it? Goering: That is also correct. "Completing the task that was assigned to you on the 24th of January 1939..."
Goering: Here is a mistake already. It says: "Complementing" not "completing" the task which has been assigned to you. MR. JUSTICE JACKSON: Very well, I will accept that. ". . . which dealt with arriving at a thorough furtherance of emigration and evacuation, a solution of the Jewish problem, as advantageously as possible, I hereby charge you with making all necessary preparations in regard to organizational and financial matters for bringing about a complete solution of the Jewish question in the German sphere of influence in Europe." Goering: No, that is in no way correctly translated. MR. JUSTICE JACKSON: Give us your translation of it? Goering: May I read it as it is written here? "Complementing the task which was conferred upon you already on 24 January 1939, to solve the Jewish problem by means of emigration and evacuation in the best possible way according to present conditions, I charge you herewith to make all necessary preparations as regards organizational, factual, and material matters ......"
Now comes the decisive word which has been mistranslated: "for a total solution," not "for a final solution." "... for a total solution of the Jewish question within the area of German influence in Europe. Should these come within the competence of other governmental departments, then such departments are to co-operate. "I charge you further to submit to me as soon as possible a general plan showing the organizational and material measures for reaching the desired total solution of the Jewish question.... Complementing the task assigned to you on 24 January 1939 ......"
That was at a time when there was no war or prospect of a war. I read somewhere that the German government made public announcements throughout Europe informing the public that the gas chamber allegations were pure propaganda, similar to the way they announced that it was the Soviets who executed the Poles at Katyn. Last edited by cold beer on Tue Oct 08, 2013 8:15 pm, edited 1 time in total. Was Hermann Goering the first "Holocaust Denier"? "Was Hermann Goering the first "Holocaust Denier"?" It is most unfortunate that Himmler was a 'suicide' while in British captivity because, had he been a defendant at the IMT, his situation would have been such that he would have told the true story (being fully informed and not in a position to shift responsibility to somebody else) and books such as the present book would not be necessary because the major material could be read in the IMT trial transcript. But then, you see, it was not within the bounds of political possibility that Himmler live to talk at the IMT. That Himmler's assessment of the gas chamber accusations is the accurate one should be perfectly obvious to anybody who spends any time with this subject, as we have seen especially in Chapter 4. In particular, Hilberg and Reitlinger should have been able to see this before completing even fractions of their thick books, which are monumental foolishness. Prominent Nazi Holocaust Deniers: Himmler, Hitler, Goebbels, Ribbentrop, Goering, Kaltenbrunner, Hans Lammers and S.S. Major-General Heinz Fanslau. "Really, the Jews should be grateful to me for wanting nothing more than a bit of hard work from them." There is no more eloquent testimony to the tragedy and tyranny of Nuremberg than the pathetic astonishment or outraged disbelief of the accused persons themselves at the grotesque charges made against them. Such is reflected in the affidavit of S.S. Major-General Heinz Fanslau, who visited most of the German concentration camps during the last years of the war. AIthough a front line soldier of the Waffen S.S., Fanslau had taken a great interest in concentration camp conditions, and he was selected as a prime target by the Allies for the charge of conspiracy to annihilate the Jews. It was argued, on the basis of his many contacts, that he must have been fully involved. When it was first rumoured that he would be tried and convicted, hundreds of affidavits were produced on his behalf by camp inmates he had visited. When he read the full scope of the indictment against the concentration camp personnel in supplementary Nuremberg Trial No. 4 on May 6th, 1947, Fanslau declared in disbelief: "This cannot be possible, because I, too, would have had to know something about it." It should be emphasised that throughout the Nuremberg proceedings, the German leaders on trial never believed for a moment the allegations of the Allied prosecution. Hermann Goering, who was exposed to the full brunt of the Nuremberg atrocity propaganda, failed to be convinced by it. Hans Fritzsche, on trial as the highest functionary of Goebbels' Ministry, relates that Goering, even after hearing the Ohlendorf affidavit on the Einsatzgruppen and the Hoess testimony on Auschwitz, remained convinced that the extermination of Jews was entirely propaganda fiction (The Sword in the Scales, London, 1953, p. 145). At one point during the trial, Goering declared rather cogently that the first time he had heard of it "was right here in Nuremberg" (Shirer, ibid. p. 1147). The Jewish writers Poliakov, Reitlinger and Manvell and Frankl all attempt to implicate Goering in this supposed extermination, but Charles Bewley in his work Hermann Goering (Goettingen, 1956) shows that not the slightest evidence was found at Nuremberg to substantiate this charge. Hans Fritzsche pondered on the whole question during the trials, and he concluded that there had certainly been no thorough investigation of these monstrous charges. Fritzsche, who was acquitted, was an associate of Goebbels and a skilled propagandist. He recognised that the alleged massacre of the Jews was the main point of the indictment against all defendants. Kaltenbrunner, who succeeded Heydrich as chief of the Reich Security Head Office and was the main defendant for the S.S. due to the death of Himmler, was no more convinced of the genocide charges than was Goering. He confided to Fritzsche that the prosecution was scoring apparent successes because of their technique of coercing witnesses and suppressing evidence, which was precisely the accusation of Judges Wenersturm and van Roden.